Plants devote more than 70% of their available nitrogen to maintaining chloroplast function (Makino and Osmond, 1991). 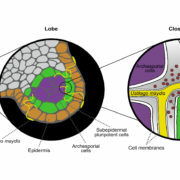 During senescence or under stress conditions, chloroplasts are degraded and their constituent components are recycled. Chloroplasts can be degraded through at least three pathways: (1) senescence-associated vacuoles, (2) the CHLOROPLAST VESICULATION (CV)-mediated pathway, and (3) the autophagy pathway (Ishida et al., 2014; Xie et al., 2015; Otegui, 2018). During leaf senescence, small acidic vacuoles that contain Cys proteases are formed and chloroplast proteins can be degraded in these senescence-associated vacuoles (Otegui et al., 2005; Heredia-Martínez et al., 2018). 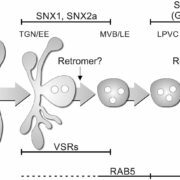 Senescence and abiotic stress also induce the formation of CV-containing vesicles, which mediate the transport of chloroplast components to the vacuole for degradation (Wang and Blumwald, 2014). Autophagy mediates the degradation of cytoplasmic components, including organelle parts or whole organelles, in the vacuoles or lysosomes. Upon carbon starvation, Rubisco-containing bodies are formed and autophagy mediates the translocation and fusion of these Rubisco-containing bodies to the vacuole for degradation (Ishida et al., 2008; Wada et al., 2009; Izumi et al., 2010). 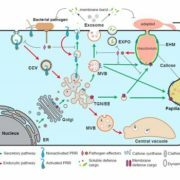 After light-induced chloroplast damage, entire chloroplasts can be transported to the vacuole for degradation through autophagy without forming Rubisco-containing bodies (Izumi et al., 2017). Autophagy also facilitates starch degradation by sequestering small starch granule-like structures to the vacuole (Wang et al., 2013). 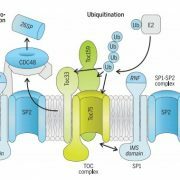 Whether autophagy is involved in chloroplast degradation related to lipid synthesis stresses remains unclear. In this issue of Plant Physiology, Heredia-Martínez et al. 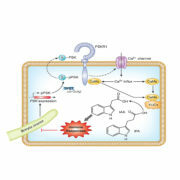 give new insight into the function of autophagy in chloroplast degradation. The authors took a chemical biology approach in combination with biochemical lipid profile analysis, cell imaging, and transcriptome analysis to investigate the relationship between chloroplast fatty acid synthesis, chloroplast quality control, and autophagy in Chlamydomonas reinhardtii (Heredia-Martínez et al., 2018). They used cerulenin, a lipid biosynthesis inhibitor that targets β-ketoacyl-acyl carrier protein synthase (Ono et al., 1974; Moche et al., 1999), to transiently inhibit lipid biosynthesis in Chlamydomonas. Indeed, after 8 h of 10 μm cerulenin treatment, the content of monogalactosyldiacylglycerol in Chlamydomonas cells was significantly reduced and lipid droplets did not form under nitrogen stress. These results show that cerulenin efficiently inhibits lipid biosynthesis in Chlamydomonas. At the cellular level, cerulenin treatment caused chloroplasts to shrink and the thylakoid membrane to aggregate, indicating severe changes in chloroplast ultrastructure. Importantly, upon cerulenin treatment, ATG8, one of the essential proteins for the formation of autophagosome during autophagy (Liu and Bassham, 2012), is induced and autophagy is activated. These data show that upon inhibition of lipid synthesis, chloroplasts lose proper ultrastructure and autophagy is activated to remove these chloroplasts, which are probably not functioning properly. 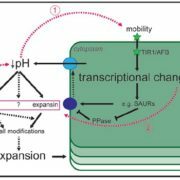 To further discover the mechanisms of chloroplast degradation caused by lipid synthesis deficiency, Heredia-Martínez et al. further conducted transcriptome profiling upon lipid biosynthesis inhibition in Chlamydomonas. Genes related to protein degradation, signaling, stress responses, etc., were found to relate to lipid synthesis stress. 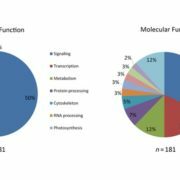 The transcriptome analysis provided candidate genes for further investigation of how lipid synthesis is integrated into chloroplast function and degradation. Plants have evolved mechanisms to sustain chloroplast function and to degrade chloroplasts under certain circumstances. Specific small molecule inhibitors are especially useful in understanding these dynamic cellular processes. Heredia-Martínez et al. observed direct effects of inhibition of lipid synthesis on chloroplast structure and autophagy activation, and avoided the downstream effects that could have been caused by a loss-of-function mutant in a lipid synthesis pathway. 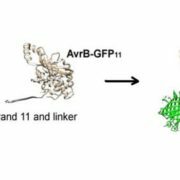 It is now possible to determine how inhibition of lipid synthesis leads to changes in gene transcription. They also identified many candidate genes that may directly link lipid synthesis deficiency to chloroplast degradation. 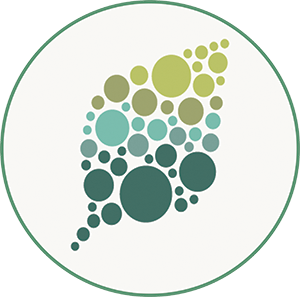 Their discoveries not only contributed to further research in chloroplast quality control and degradation in algae, but also provided broadly useful data on plastid function and turnover in plants.